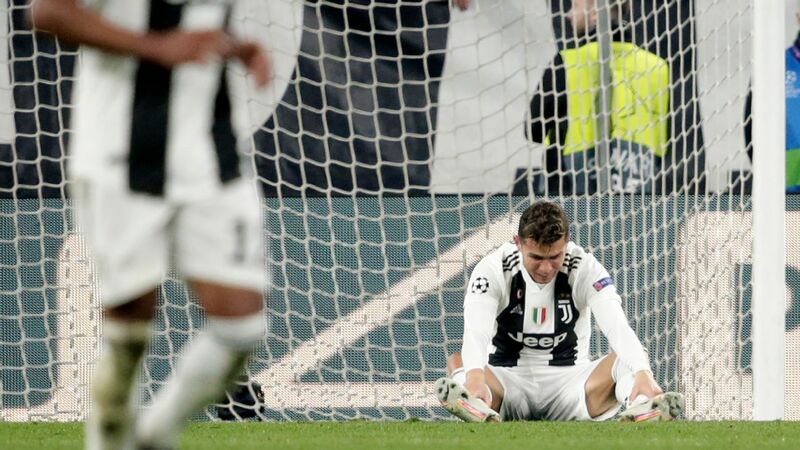 LONDON -- As Harry Kane hobbled down the tunnel 11 minutes into the second half of Tottenham's Champions League quarterfinal against Manchester City, unable to walk on his injured ankle after a reckless challenge on Fabian Delph, the immediate conclusion would have been that his team's hope of a place in the semifinals had disappeared with him. Some players are so crucial to their club's prospects that playing without them just doesn't bear thinking about. 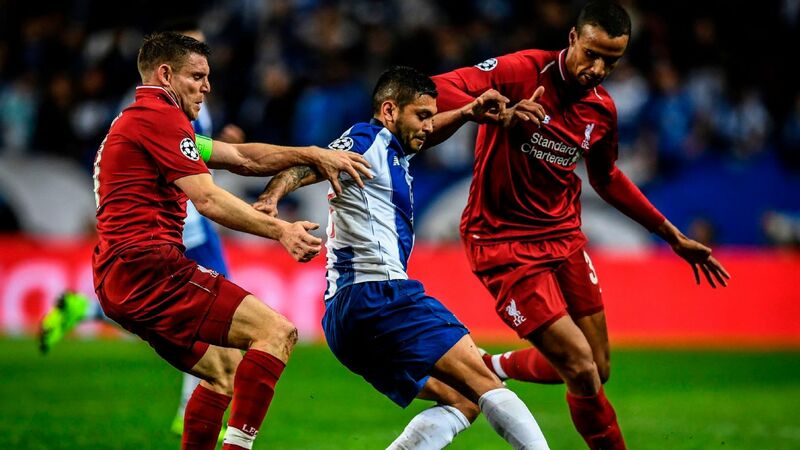 Remember how Liverpool slumped in last season's Champions League final against Real Madrid once Mohamed Salah's shoulder injury forced him out of the game in Kiev? 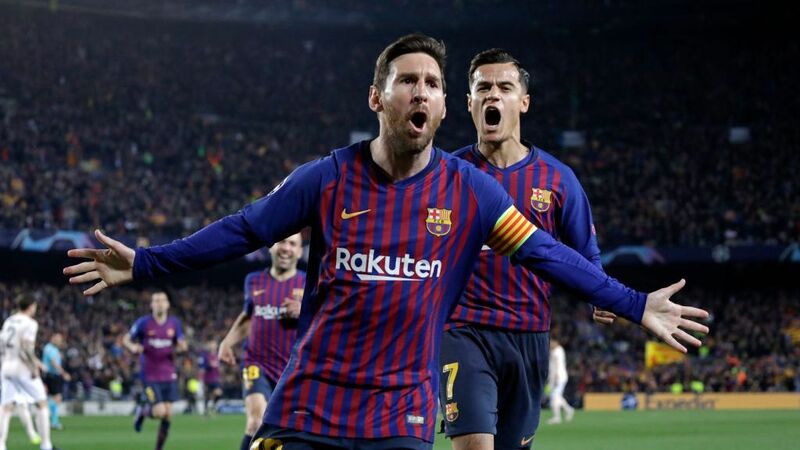 Real themselves discovered that life without Sergio Ramos, their defensive rock, was not quite so certain, as they crashed out of the Champions League in the round of 16 with a 4-1 home defeat against Ajax last month. 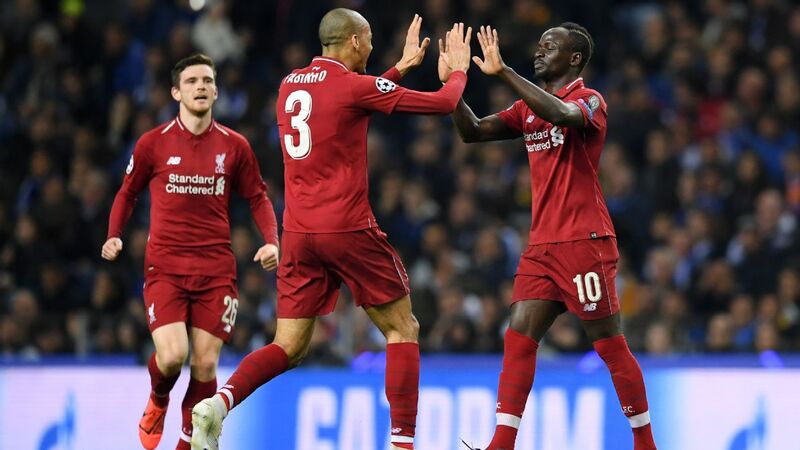 Kane, with his goals and talismanic qualities, is often as important to Spurs as Salah is to Liverpool and Ramos is to Madrid, but this was a night when Mauricio Pochettino's team proved they can deliver without their star striker. 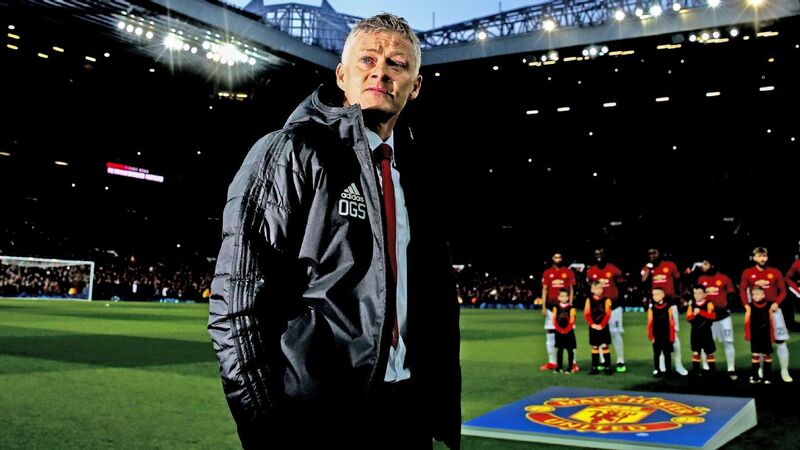 They would obviously rather have the 25-year-old leading the line in next Wednesday's second leg at the Etihad, but all is not lost without him. 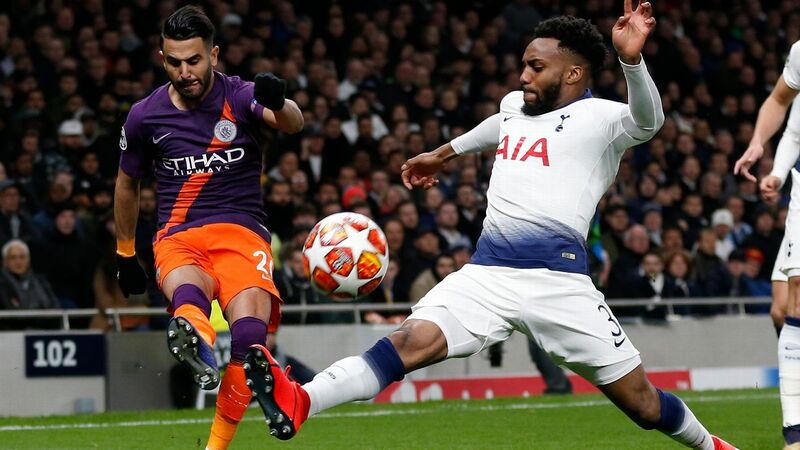 With Kane unable to continue, Lucas Moura was thrown on in his place, and Spurs suddenly looked more dangerous and mobile going forward, posing a far greater threat to a City team that had comfortably dealt with the more predictable challenge of stifling the England captain, who had been kept quiet all night by Aymeric Laporte and Nicolas Otamendi. When Son Heung-Min scored the only goal of the game on 78 minutes to secure Spurs a 1-0 first-leg lead, it was a reminder that the South Korea international is more than capable of emerging from Kane's shadow. 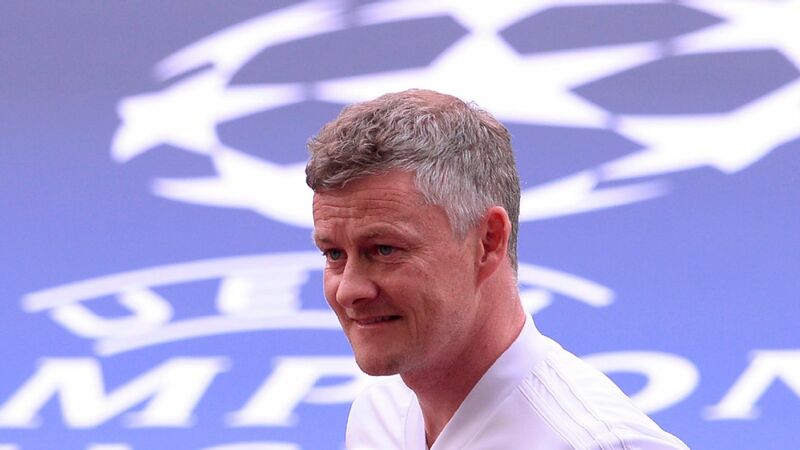 When Kane was sidelined with another ankle injury earlier this year, Son scored in four successive matches for Pochettino's team before then going six without a goal once the main man was back to fitness. Whether Kane's presence as the focal point of this Spurs side diminishes Son's goal threat is a subject of debate, but one thing for certain is that when Kane is not in the team, Son is able to grasp the opportunity and flourish with the additional responsibility to score. Kane has scored four goals in eight games for Spurs since returning from his original ankle injury in mid-February, and he has not looked anywhere near his best in that time. Unusually for Kane, who is generally a calm and unflappable presence on the pitch for Spurs and England, his frustrations came to the surface against City. 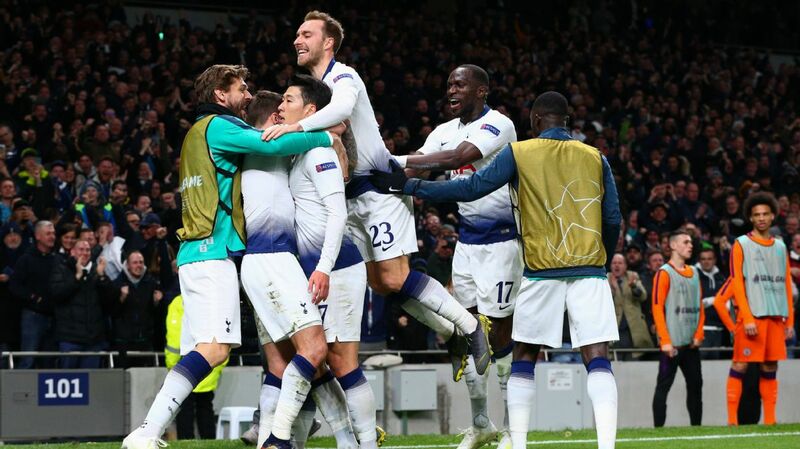 Tottenham proved in their Champions League quarterfinal first-leg win over Man City that they can cope without Harry Kane. In the first half, when he was on the end of some bruising challenges by Laporte and Otamendi, Kane lashed out with a stray elbow at Fernandinho -- he didn't connect -- after the City midfielder cynically drilled his own elbow down on Kane's head after both players landed following an aerial contest. Then came the tackle on Delph -- an overly physical challenge that resulted in the City defender (and England teammate) landing on Kane's ankle and ending his involvement in the game. Kane lost his head, and he paid a heavy price for it, with Pochettino admitting that he might not play again this season. 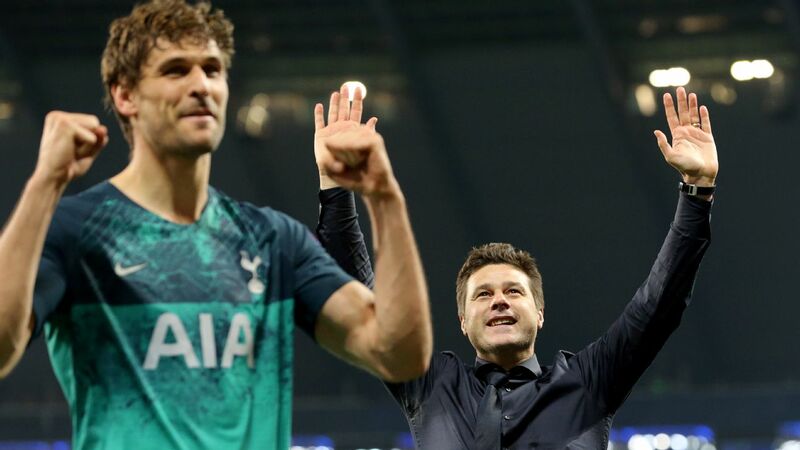 "It's very, very sad," Pochettino said. "It's going to be tough, and we're going to miss him -- maybe for the rest of the season." 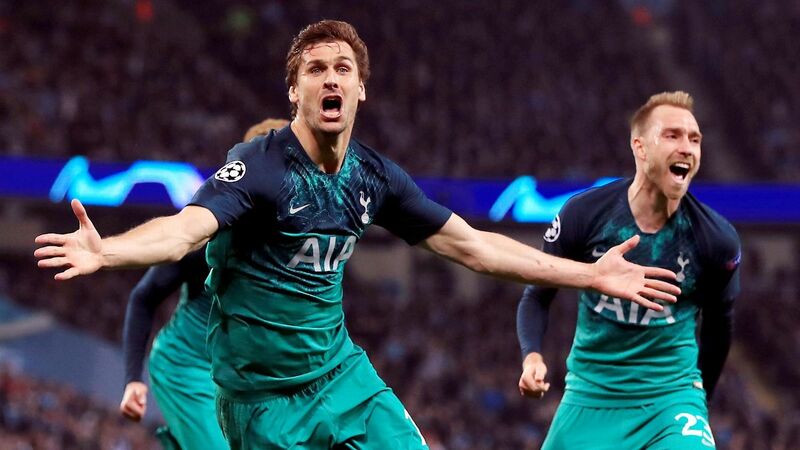 The good news for Spurs is they won four of four Premier League games without Kane during his recent layoff and beat Borussia Dortmund 3-0 in the Champions League, so they will travel to City next week believing they can win again. Spurs are a different team without Kane. 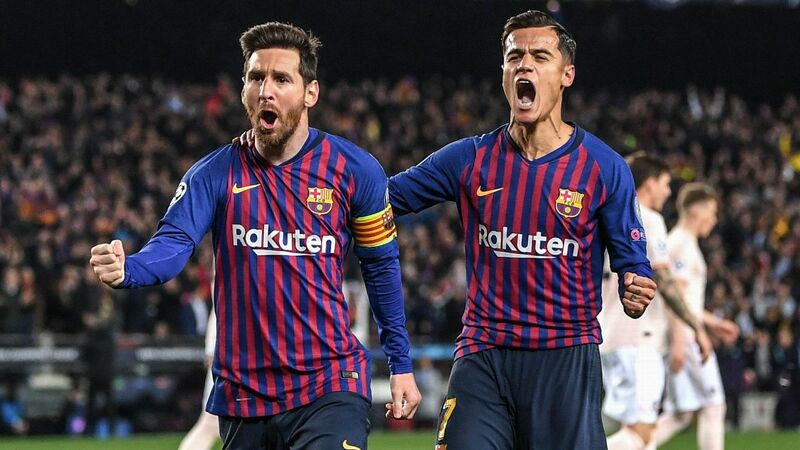 With Lucas, Son and Dele Alli operating as a front three, they are more fluid and have more pace than with Kane as a target man, and at the Etihad, where they are likely to have to defend and hit City on the counter, pace and movement could be key. City remain favourites to progress, but Pep Guardiola needs to rediscover his winning touch in this competition to get his team past Spurs. 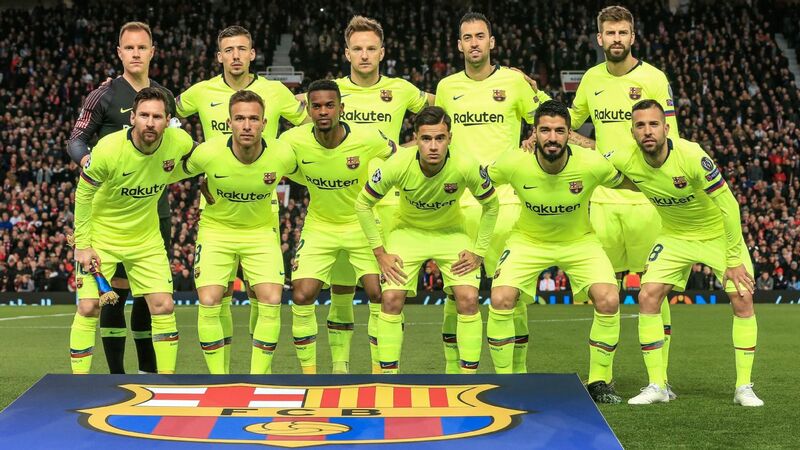 This defeat extended the former Barcelona and Bayern Munich coach's surprising sequence of failing to win an away game from the quarterfinals onward since 2011. 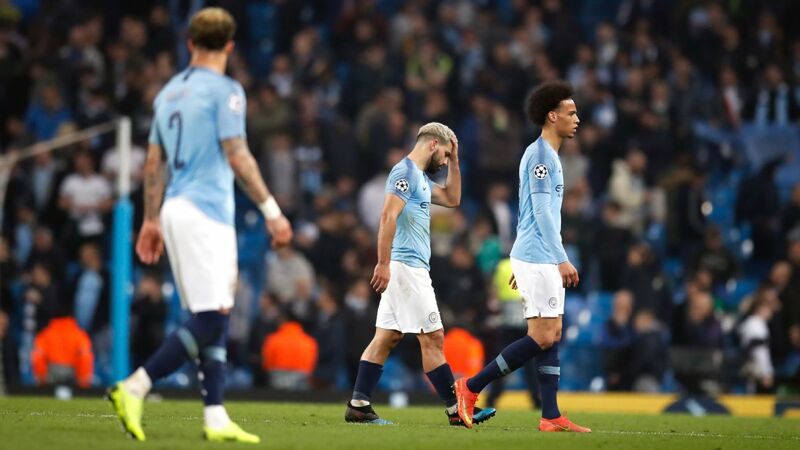 At Liverpool last season, a surprising team selection led to a decisive 3-0 quarterfinal first-leg defeat, and at Spurs, the decision to leave Kevin De Bruyne and Leroy Sane on the bench was another strange move by the City manager, as was having Delph at left-back. 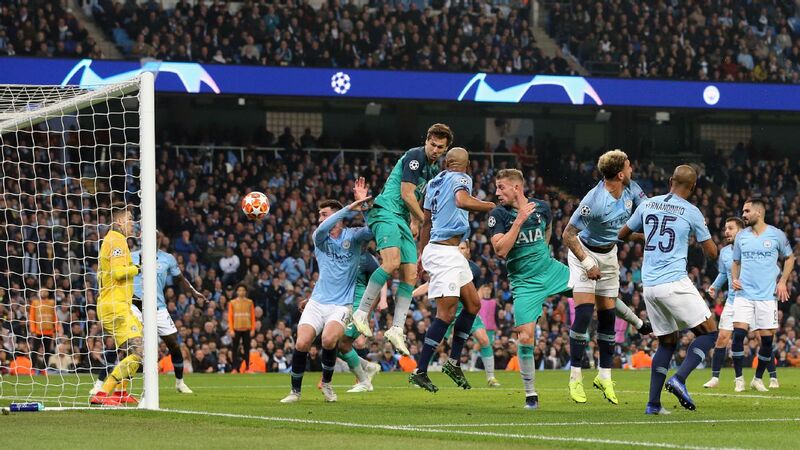 It would have been a different story had Sergio Aguero not seen Hugo Lloris save his 11th-minute penalty, awarded for handball following a lengthy VAR check by Dutch referee Bjorn Kuipers. 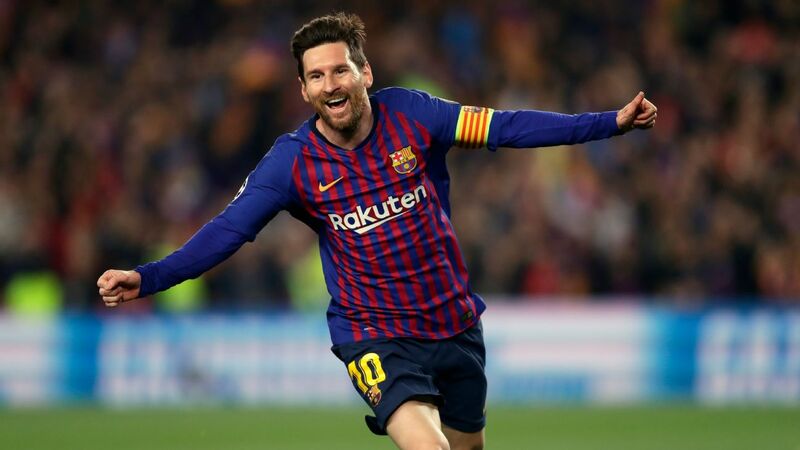 But Aguero missed, and City did not create enough chances to score, so they must overturn a first-leg deficit again next week to make it into the semifinals. "The result is not the best one, but we have to make these kind of comebacks to go through," Guardiola said. 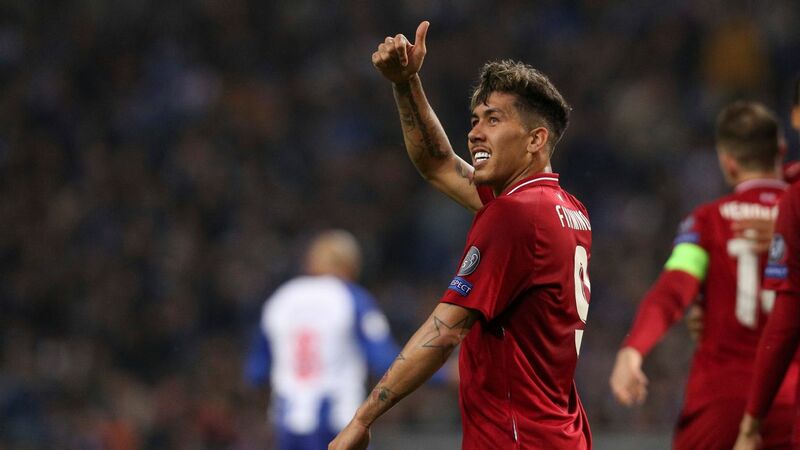 "We had our chances with the penalty, so it was a good performance, but it is the Champions League, and that is the challenge." Few would bet against them, but City would be foolish to view Kane's injury-enforced absence as a positive. Spurs can perform without their star striker, and they proved it again in this game.